Comments: Used books don't have access codes, ships from U.S.A. 9th Edition Paperback good used book, ships very fast! !, choose expedited for quicker shipping. 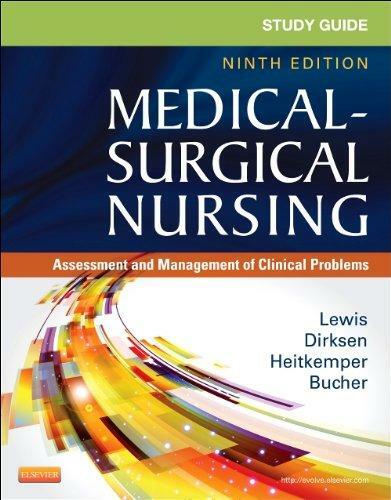 Linda Bucher RN PhD CEN is the author of 'Study Guide for Medical-Surgical Nursing: Assessment and Management of Clinical Problems, 9e (Study Guide for Medical-Surgical Nursing: Assessment & Management of Clinical Problem)', published 2013 under ISBN 9780323091473 and ISBN 0323091474. Loading marketplace prices 30 copies from $3.50 How does the rental process work?